Times are changing - a look at the ranges of Smartwatches available today. We are entering a time where technology is advancing exponentially, the lines between reality and virtual reality are becoming blurred. Some say this move is frightening and others are embracing it. Watch manufacturers world-wide are certainly welcoming new technology with open arms and bare wrists. Smart and hybrid watches are becoming more common place, they look like a normal watch but there is so much more behind the dial. At a glance the new ranges of Hybrid smartwatches appear to be nothing more than your average analogue watch. 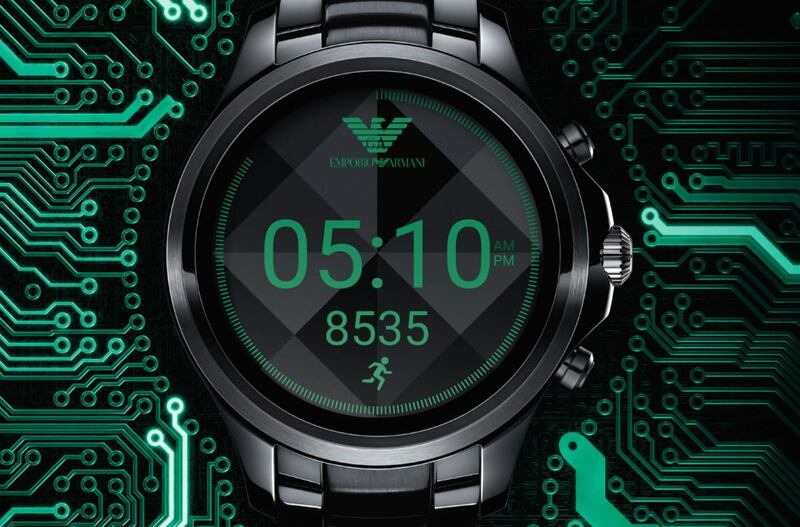 Skagen, Emporio Armani and Mondaine to name just a few, have released these watches and once connected to your smart phone are capable of informing you of incoming texts, calls, emails and alarms. Most recently Guess and Mondaine are ‘cashing in’ on the contactless payment technology, allowing for wearers to pay for their goods by simply swiping their wrists against a card machine. The small B-Pay NFC chips are located within the watch straps and much like a contactless bank card can be used to pay for goods. Touchscreen smartwatches divide opinion for watch enthusiasts, some argue that they are nothing more than computer screens worn on the wrist, whilst others say its a watch that you can text from, access apps and ignore PPI phone calls from without needing your phone. Both Emporio Armani and Michael Kors have released extensive ranges of Touch Screen smart watches, with interchangeable straps and fully customisable screens, these timepieces offer more than just the time. As technology advances with such speed it does seem that these watches are mere proto-types, an example of what is to come. The smartwatches available today are still not able to track your heart-rate like the fitness trackers on the market and the vast majority of them can’t allow you to hold a phone call; this isn’t to say that there is no purpose in these watches. As this technology advances the overall size and appearence of the Touch Screen smartwatches will become more discreet and innocuous; their styling will be designed to look no different to a standard watch if not marginally larger - though the oversized look is in fashion. I myself wear the Michael Kors Access Sofie smartwatch and find it incredibly useful, the back-lit screen makes telling the time in any light so easy and the customisable dials mean that my watch will always match my outfit. I can book a taxi, skip half of my music playlist, text and check my emails without needing to find my phone and a strange favourite is the ability to use my watch as a torch. The technology available now is only a small glimpse into what the future holds for smartwatches, for the dubois and the followers all I can say its let’s wait and see what tomorrow brings.